They’re the second skin we turn to time and time again when we just don’t know what to wear. Throw on and go, Jacob Cohen jeans never let us down. With heels for hot nights out and white trainers and our leather biker jacket the morning after, there is hardly a happening our jeans can’t help us out in. We can’t imagine a world without them and falling hard for the maestro’s marvellous denims means we’re always thinking up new ways to wear them. 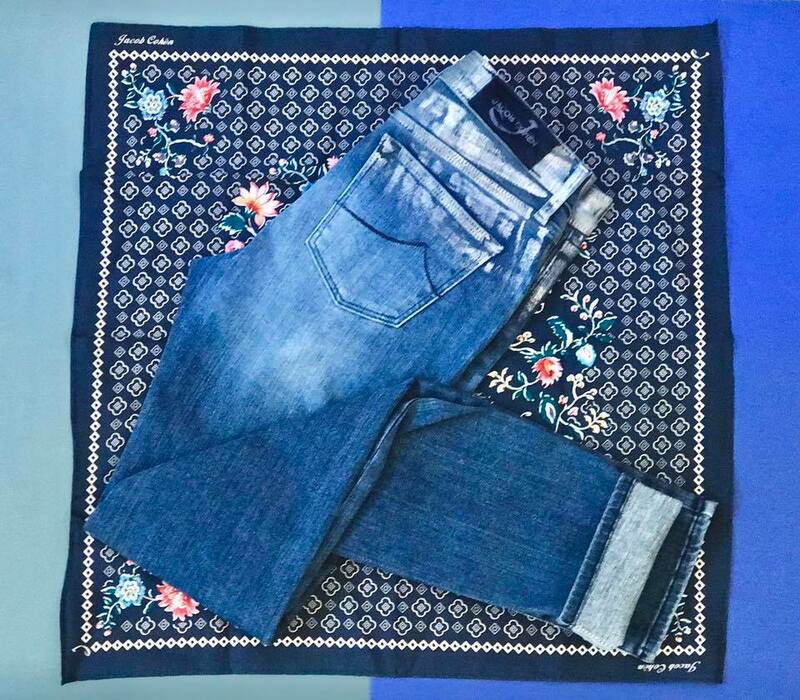 Here are some of our favourite, fresh ways to wear your Jacob Cohen jeans. Which will you give a go this weekend? Business never looked better and wearing this season’s must-have blazer with your skinnies is the best possible way to mix business with pleasure. No, not in the traditional sense. Layering a midi-dress over your denim emerged as one of the big looks of the recent Fashion Weeks. Soft fabrics like chiffon and silk contrast beautifully against more rigid denim. There’s little sexier than a subtle flash of flesh between your heels and hem; the ankle is an erogenous zone, don’t you know! Have your denims tailored with a slight crop or go it alone if you’re feeling brave. Raw hems are in vogue this season. Whether it is dress down Friday or you’re one of the fortunate few who can get away with denim in the office, an immaculately cut white shirt can keep your Jacob Cohen denim from veering too close to casual. Add heels for the office and switch to box-fresh white trainers when the weekend rolls around. How will your wear your Jacob Cohen jeans this weekend? Visit Robinsons today to shop new season styles from the denim genius. Call in store at DN10 6JH. We’re open 7 days a week with FREE parking.